With over 65 years of combined experience, we take pride in our vast knowledge of installing and maintaining residential and commercial heating, ventilation and air conditioning systems AND commercial refrigeration. 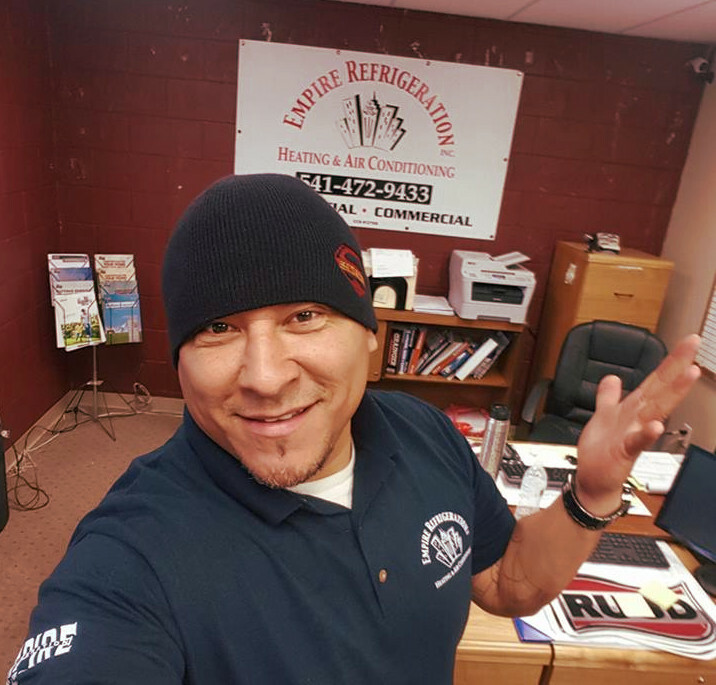 Victor is the driving force behind Empire Refrigeration. His work ethic and attention to detail and customer service have helped Empire build a solid reputation throughout Southern Oregon. Stefanie is the glue that holds our daily operations together! If you have any questions she is the one for answers.